Since his concerto debut with the Chicago Symphony Orchestra, with whom he has appeared nine times, the American pianist Steven Graff has been the recipient of numerous distinguished awards and glowing critical praise. Mr. Graff was born in Chicago where he began his musical training. A string of scholarships led to studies at The Juilliard School where he received Bachelor’s and Master’s Degrees as a Petschek scholarship awardee, and a Doctorate of Musical Arts from The Graduate School of CUNY. Steven Graff is at home on stage, over the airwaves and in the classroom. His appearances on the Nickelodeon Channel and the QE2 enlightened audiences with his interpretive performances, and recent tours of China, Norway, Japan, Italy, Israel and in cities across the U.S. have thrilled music-lovers everywhere. A sought-after recitalist and chamber musician, Graff has performed at Weill, Zankel and Stern Auditorium at Carnegie Hall, Lang Recital Hall and the Kaye Playhouse at Hunter College, Merkin and Alice Tully Halls in New York City and his performances have been broadcast in Oslo and Honolulu, on New York radio stations WQXR and WNCN, and Chicago’s WFMT. A champion of new music, Graff has premiered and recorded contemporary works, most recently on the Centaur, Capstone and Zimbel labels. Having studied with Adele Marcus, Beveridge Webster and Herbert Stessin, and performed in master classes for Leon Fleisher, Menahem Pressler and Misha Dichter, Graff often leads his own master classes at colleges and universities, most recently at Franklin and Marshall College and at the University of Arizona at Flagstaff. Graff’s many summer festival performances include the Bar Harbor Music Festival in Maine. He was also re-engaged as a featured teacher and performer in Hawaii’s Aloha International Piano Festival where he gave master classes and was presented in a solo recital, as well as appearing in a multi-day Festival in Salt Lake City, sponsored by the Gina Bachauer International Piano Foundation, where he was heard in recital. Recent concerto performances include a nine-city tour of China playing Gershwin’s Rhapsody in Blue with the Manhattan Symphonie, and a premiere of John Carbon’s new piano concerto, Fantasy Nocturne, at the Barshinger Center in Pennsylvania with the Allegro Chamber Orchestra. The concerto was dedicated to Mr. Graff. Known for his improvisations, Graff recently improvised his own cadenzas for two Mozart concerto performances in New York City: Mozart’s Concerto No. 20 with the Spectrum Symphony and Mozart’s Concerto No. 21 with the New York Symphonic Arts Ensemble. A frequent competition adjudicator, Graff has judged for The Mannes International Keyboard Institute and Festival’s annual piano competition, France’s Fontainebleau Festival, the Gina Bachauer Jr. Competition, and the Music Teachers’ National Association. This fall he will be speaking on “sustaining future audiences for classical music” at the Macaulay Honors College’s bi-annual Topics and Tapas series. Steven Graff currently serves on the faculty at New York’s Hunter College, at The Macaulay Honors College, and at The Graduate Center of the City University of New York. 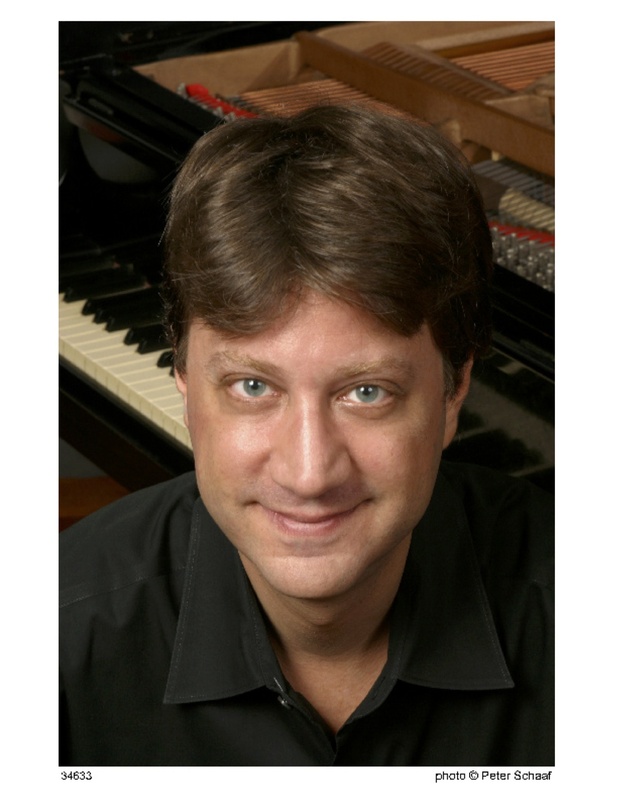 Steven Graff is a Steinway Artist.